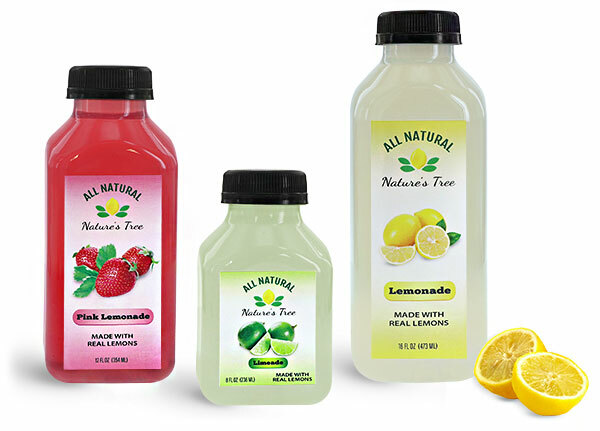 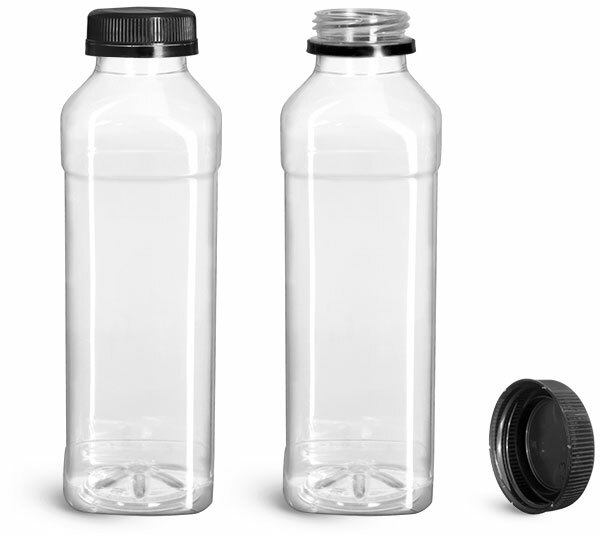 When packaging a line of all-natural flavored lemonades, consider these clear PET plastic beverage bottles in a square design paired with black tamper evident caps. 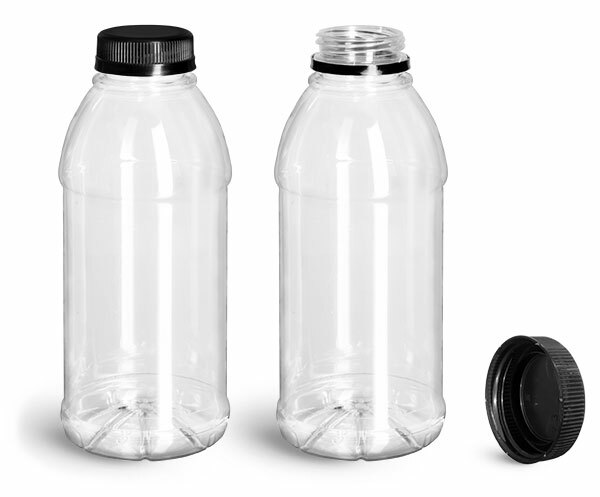 The plastic lemonade bottles include wider openings suitable for drinking and pouring, as well as reinforced bottoms for additional stability. The black caps come with tamper evident rings, providing an added level of security that is especially important in the food and beverage industry.